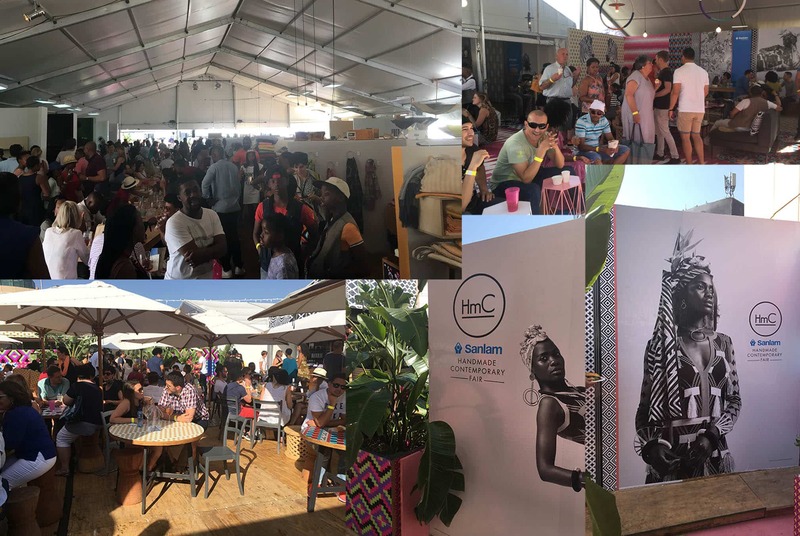 Every year I look forward to participating in The Sanlam Handmade Contemporary Fair that takes place in Johannesburg on Hyde Park rooftop. The weather is nice, the event is beautifully curated and it is great to meet customers and Wren fans. 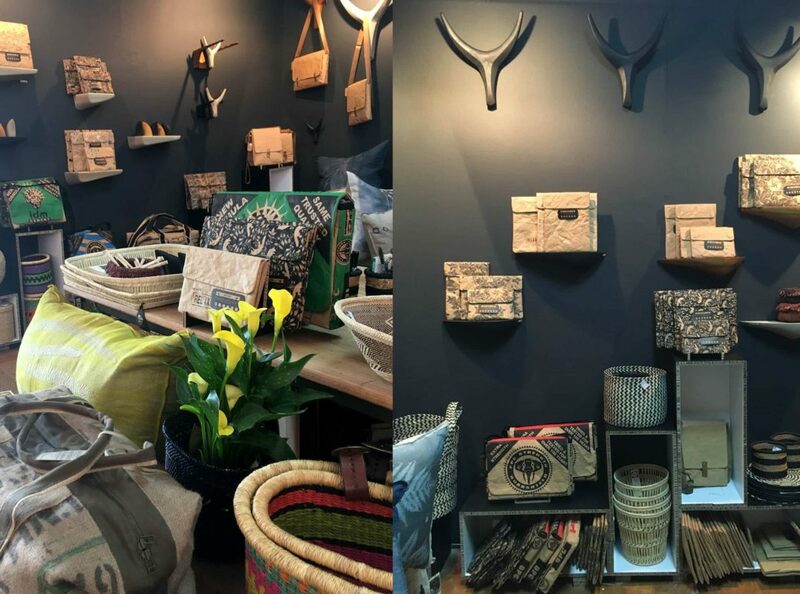 This year four great South African design companies got together and exhibited together as The Collective. The Collective consisted of Vogel, Design Afrika, Evolution Product and Wren. We are all part of the CBI program which is how we know each other. We have all done trade events together but this was a first for retail. We all learnt a lot and had a lot of fun. At Sanlam this year we also revealed our new logo (see below). Isn’t it beautiful? We will be following with more news about this to come. 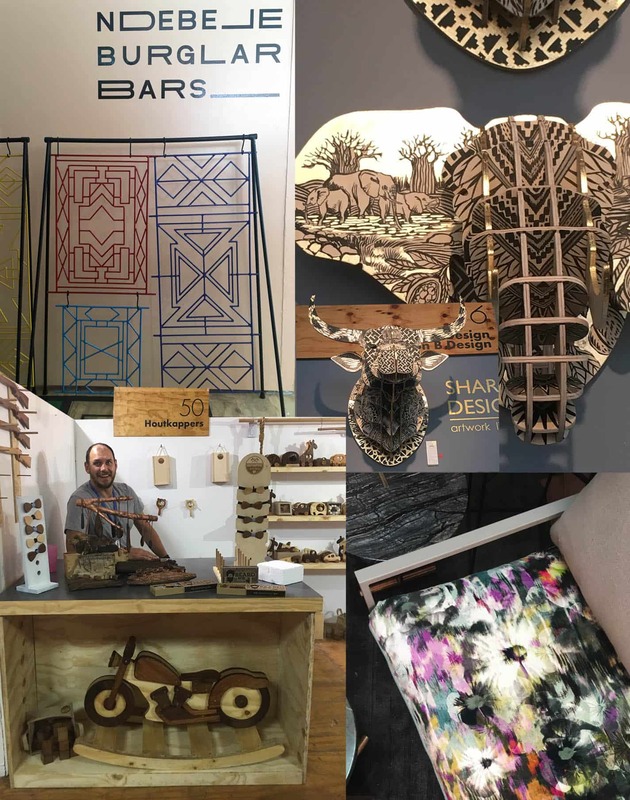 Design Indaba expo is no longer around so there really is almost no platform for new designers to showcase their work – with exception of this fair that I believe has taken this role over in their own small way. 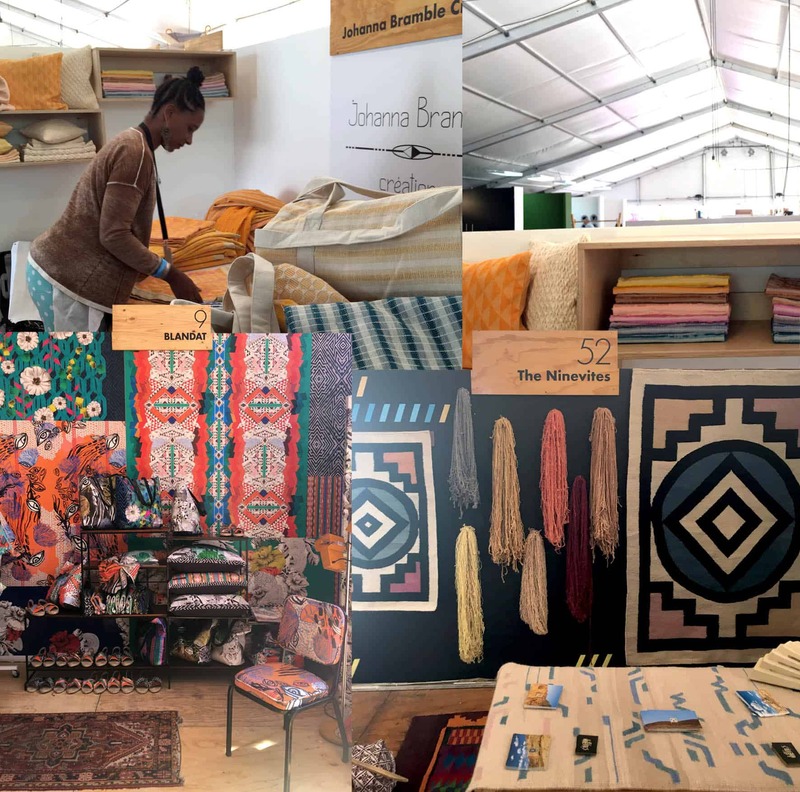 Top left: Johanna Bramble from Senegal with the most wonderful hand woven fabrics. I could have died in the pastel colour palette and textures of her fabrics! Bottom left: Blandat. I absolutely loved the complexity and detail of their prints. Bottom right: The Ninevities and their tribal inspired woven carpets and mats. It is hard to believe that this has not been done before but indeed, it is a first and oh so powerful! Top Right: Ndebele Burglar Bars. This is next on the list of unbelievable first’s. Isn’t this idea just fabulous?! Top right: A collaboration between Sharon B Designs & Head on Design. Head on Design make 3D animal heads and Sharon B is an artist of exceptional talent. I absolutely love this collaboration. Bottom left: Houtkappers. As a new(ish) mom I can not not stop at the children stands and I love their take on the wooden rocking horse. Bottom right: Douglas & Douglas showed this gorgeous printed velvet fabric. Art meets fabric! This year’s show has been one of my favourites! I love meeting other designers and I love the camaraderie of a shared stand. Above from left to right: Amanda du Plessis from Evolution, me (Wendren Setzer from Wren), John & Terri Vogel from Vogel and Binky Newman from Design Afrika. The only downer is that unfortunately the courier bringing my stand and goods from the show was hijacked and insurance will not pay out. There always has to be something that does not work out and this is mine… oh well. I knew the show was too much of a good thing! Thank you Artlogic and Sanlam for putting together a great show. Thank you to the team of The Collective for having such great products. No thanks to my courier MDS Collivery. Living in South Africa is both wonderful and dangerous. 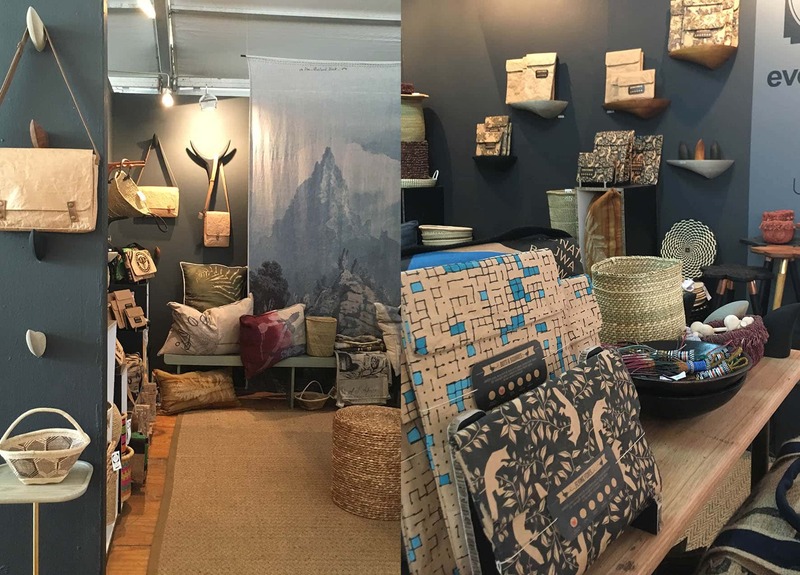 This entry was posted in Blog and tagged blandat, Cape Town, cape town designers, courier hijack, design afrika, douglas&douglas, evolution product, handmade contemporary 2016, head on design, hmc 2016, houtkappers, hyde park, hyde park market, jhb design, johanna bramble, johannesburg design market, liquid glass, liquid paper, mds courier hijacked, ndebele burglar bars, ndebele inspiration, paper sleeves, sanlam handmade, senegal fabrics, sharon artist, sharon b design, The Collective, the ninevites, vogel, watershed shop, Wren.